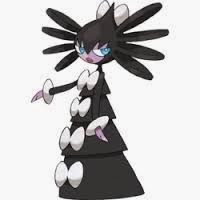 Today I bring you another VGC team analysis. I’ve been testing it online and brought it to an online tournament to take 2nd place. This team features many of my go to Pokemon when making teams this generation, though it would be fair to say most members of this team became go to Pokemon after using the team. This team has a lot of things I like.There are a total of 4 moves with under 100% accuracy and none of them drop below 85%. There are two users of Intimidate. There are two Pokemon with hit and switch moves. 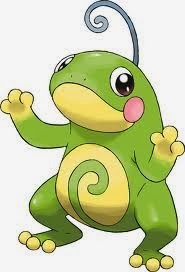 There’s a Pokemon with a boosting move. Theres Rage Powder. Theres Spore. Finally, the team encourages defensive switching. 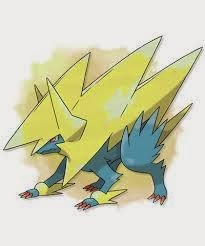 Manectric is easily my favourite Mega Evolution so far. Sporting high speed, Volt Switch, and Intimidate make Manectric useful for dealing with a metagame focused around physical attacks. Manectric fits my play-style well, Intimidating the foe before using Volt Switch to deal damage and switch into a bulky Pokemon. With a base Special attack of only 135 and a base Speed of 135 one would think that a Modest nature was the way to go for Manectric. However, having a Timid Nature ensures that Manectric will always out speed base 100s and Garchomp on the turn of Mega Evolution. After Mega Evolving Timid allows you to out speed Talonflame and prevent a Flare Blitz from going off and ruining your day. One way to increase Manectric’s damage output that I will pursue is trading Flamethrower for Overheat. When choosing moves for the first time I generally try to go with moves that have 100% accuracy. After my testing with Manectric I’ve found that I don’t use Fire moves very often and when I do I’d rather have the extra power to reach for the OHKO. Snarl is a neat move that lowers the Special attack of both the opponents Pokemon while dealing damage (and getting through Substitute.) Hidden Power Ice would seem like the default third attack for Manectric but its only good against Garchomp, Salamence, and other Pokemon with a 4x weakness to Ice (plus getting the right HP is a pain.) 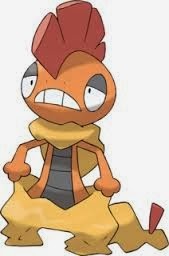 Snarl allows my Pokemon to survive hits they normally wouldn’t and this can catch opponents off guard. Manectric’s best pal Gyarados is also on the team. The two have great synergy as Manectric can draw in Electric attacks and between the two of them Intimidates really add up. This Gyarados isn’t the same one as my last. I’ve put a heavier investment in attack and put a bit more speed in to keep Gyarados as much of a threat as possible. I’m sure I had some benchmark in mind when I decided on the attack and HP but I’ve forgotten what it was. Gyarados is still running Dragon Dance, I like to have some sort of set up move in VGC to capitalize on predicted Protects. 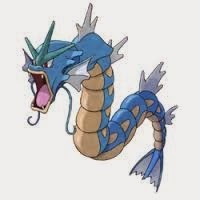 For the third attack I thought of all the moves Gyarados could learn. Stone Edge has 80% accuracy, so that wasn’t going to fly. Earthquake hits too many of its partners, my policy on Earthquake is to have at least two other Pokemon on the team that are immune to it. Ice Fang is just too weak to justify using and still leaves gaps in coverage. I faced Randy Kwa in the finals and his Gyarados ran Return, a move I hadn’t even considered. While it doesn’t deal super effective damage against anything it has near perfect coverage against Kalos when paired with Waterfall. Instead of using a secondary attack I decided to put Taunt on Gyarados to help deal with Trick Room and annoying Pokemon such as Amoonguss. This Amoonguss is the same set as the one I used on the Perish Trapping team. Built to be bulky on both sides, Amoonguss is a Pokemon that sticks around if you don’t get rid of it right away. Without Togekiss in the format Amoonguss is the only good user of Rage Powder / Follow Me left. Rage Powder prevents Sucker Punch from working and redirects electric attacks targeting Gyarados. Due to its low speed Amoonguss serves as a Trick Room check as well. Its very difficult to win when the fastest Pokemon in play is using Spore on you. Normally I run Protect on my Amoonguss but after training this Amoonguss I forgot to give it Protect and instead it was left from Sludge Bomb. I only noticed this during round one so I had to live with it. 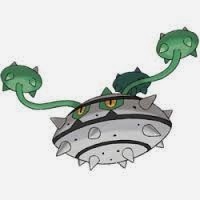 Sludge Bomb never earned its keep in the tournament but I used it a few times when it would hit slightly harder then Giga Drain and I had full HP. Thankfully I never got screwed by not having Protect on Amoonguss, but I’m still going to use it after the tournament is over. 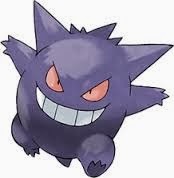 I used Amoonguss a lot last generation and its become a staple for most of my teams this generation. Rage Powder gives you a level of control during your turns that you wouldn’t normally have and blocks most priority moves aside from Brave Bird. While testing various teams I had a lot of trouble beating Mega Charizard Y and Venusaur. With my next two slots I decided I was going to beat the combo every time I faced it. VGC has never had a Pokemon like Talonflame. It seems almost silly just how good Talonflame is considering its the starting bird Pokemon of generation 6 and is also the strongest contender for best Pokemon of the generation. Having a priority move with the base power of Brave Bird is unprecedented in the video game. 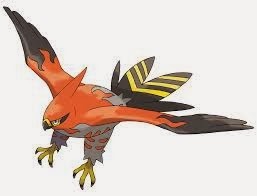 Talonflame may not have the highest attack but it will be dealing a ton of damage due to its high base power moves. Talonflame has maximized its Attack, which I consider mandatory on any Talonflame set. I originally started with my HP maxed and 4 points in speed, but as I started to consider more and more Pokemon to be worth out speeding without using Brave Bird I kept putting HP into Speed until I decided I might as well maximize my speed and force the speed tie with other Talonflame. So now I had an answer to Venusaur, as well as a generally good Pokemon on the team. 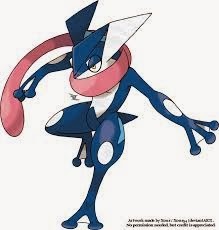 In order to fully counter the Char/Saur combo I need a Pokemon that out sped and OHKO’d Mega Charizard Y. If I had that I could deal with those two whenever they came out together. The is the Garchomp set I’ve been using since the beginning of the generation, and sans the item choice I’ve been using this Garchomp since Oregon Regionals. Jolly Garchomp will always out speed base 100s and some Pokemon over base 100 that don’t invest heavily into speed. 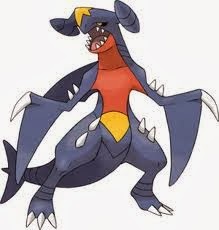 Earthquake, Dragon Claw, and Protect are standard moves for Garchomp. Rock Slide gets the OHKO and Mega Charizard Y that doesn’t invest heavily in HP or Defence. It also brings a flinch chance to the table which can win games. Garchomp’s item choice has always been flexible for me. I’ve used Yache Berry in the Battle Maison to deal with the AI that thinks bringing frail Ice types will allow them to beat Garchomp. 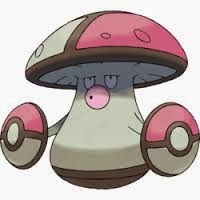 In VGC 2014 I haven’t seen a lot of Ice attacks so Yache Berry wasn’t a worthwhile item. I decided on Focus Sash to surprise opponents thinking they can score an easy KO with Draco Meteor or similar moves. I’ve seen plenty of Garchomp running Rocky Helmet to deal massive damage to Mega Kangaskhan when it attacks them. I’ve also seen Life Orb and Choice Band variants running around. All of these are solid choices for Garchomp, its pretty much just personal preference. Garchomp is also a straight-up good partner for Talonflame, as Talonflame flies over Earthquake and most foes that out speed Garchomp can be picked off by a Brave Bird. After settling on the first five members of the team I thought about a Pokemon that could patch up any weaknesses the team might have. I decided I needed another Rock resist on the team because I already invite Rock Slides with my two flying mons and inviting Rock Slides is a fast way to getting haxed out of games, so I decided that two intimidators and two resisters would keep me from losing to Rock Slide spam too often. After trying out every other viable Steel type in the format Ferrothorn was the last one I had yet to try and it was the one that I had been looking for. 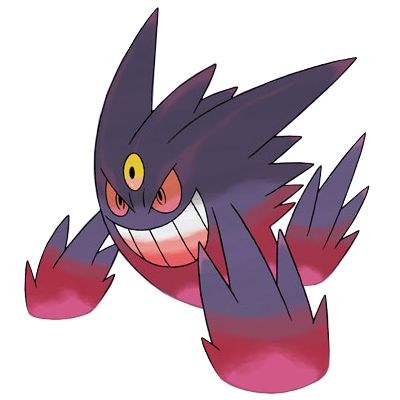 With nine resistances and an immunity Ferrothorn takes little damage from over half the attacks in the game. Ferrothorn’s amazing bulk on both ends makes it a pain to deal with. The EV spread makes for a balanced Ferrothorn, If I didn’t run so much Intimidation I would use more Defence but I’m now free to add to it’s Special Defence some more. Power Whip and Gyro Ball serve as Ferrothorn’s offence. They’re good for chip damage as well as super-effective hits. Leech Seed allows Ferrothorn to be an even bigger pain by forcing switches and healing while dealing damage. I opted not to use Thunder Wave because the rest of my team either carries a ton of speed or is too slow to benefit from it. Ferrothorn can shut down a lot of attackers in the meta and can beat entire teams lacking Fire attacks. Iron Barbs racks up quickly against multi-hitting attackers like Kangaskhan. This team brought me to second place with my only loses coming from Randy Kwa, who won the tournament. I found out a lot about my team from this tournament, mostly that Rotom-H and Mega Manectric are huge threats to my team because 4 Pokemon are weak against either Electric or Fire. I probably won’t be using the team in its current form again for this reason, but I imagine I’ll construct teams in the future that use a handful of these Pokemon. For those in BC these tournaments will be run on a weekly basis. Check out the British Columbia PokéCenter group on FaceBook for details.